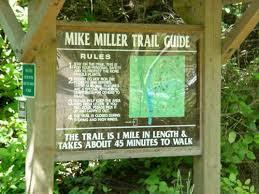 Mike Miller Educational Park is a forty acre parcel of land showing various mini eco-systems. Park brochures are available explaining the educational nature trail with informational guides referencing each area.This is a unique forest of the Pacific Northwest because of its Sitka Spruce trees, as well as Western Hemlock, Douglas Fir and Coastal Pine trees. A well maintained woodland nature trail is the main attraction of this park. There are bridges, observation decks, and benches along the trail to sit and listen to bird calls, watch small animals, and enjoy the beauty of native coastal vegetation. At the trailhead there are bike racks as well as parking for vehicles. The trail is approximately one mile long and takes 45-60 minutes to walk.